Sakura Easter Hat | Who Are You Calling Crafty? My daughter’s class was having an Easter Hat Parade on the 5th, every child had to decorate a hat and wear it to school. There was a parade around the school to show of their lovely creations. 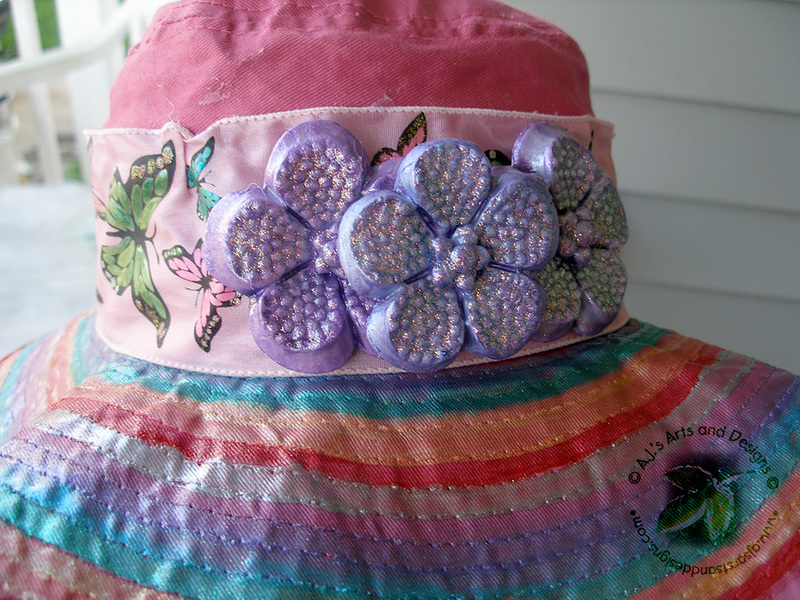 My daughter loves Butterflies, Rainbow and a whole lot of sparkle so we decided to decorate a canvas hat with a whole lot of sparkle. 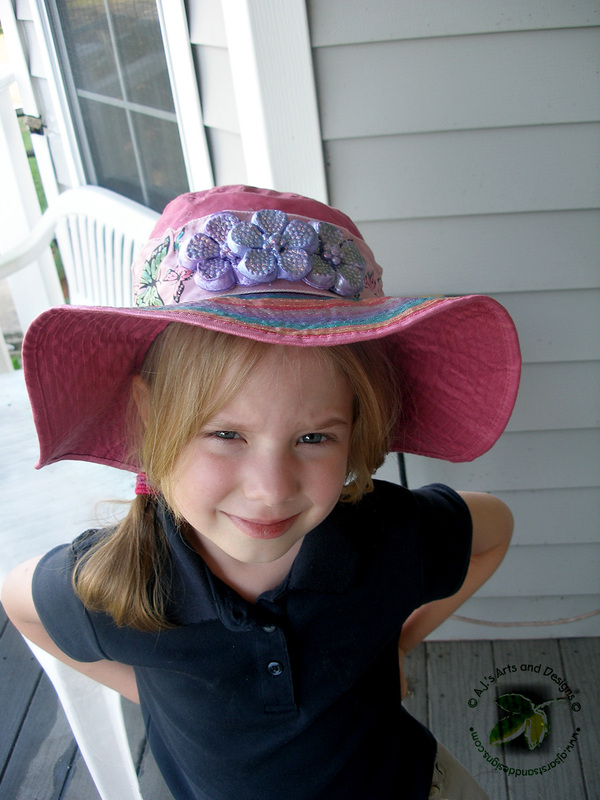 I asked my daughter to pick out what she wanted on her hat, she picked out some two inch butterfly ribbon and told me she wanted some flowers as well. I was informed the ribbon lacked pizzaz and needed something to make it sparkle. I decided this project would be the perfect opportunity to try out Terri Sproul Mixers. Boy did we ever experiment with this hat. 4. Paint flowers with Violet Pearl and Violet Shimmer. Once dry place a mixer of Ultra Fine Glitter and 3D Crystal Lacquer over the flower. 5. 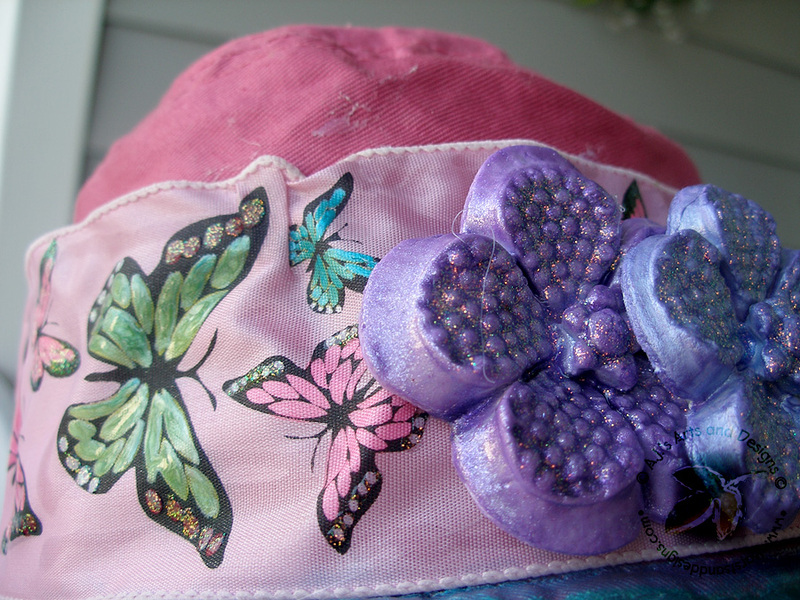 Add “Bling” to the butterfly ribbon by painting the butterfly ribbon with mixers and lacquer. 6. Showing the ribbon painting in progress. 7. 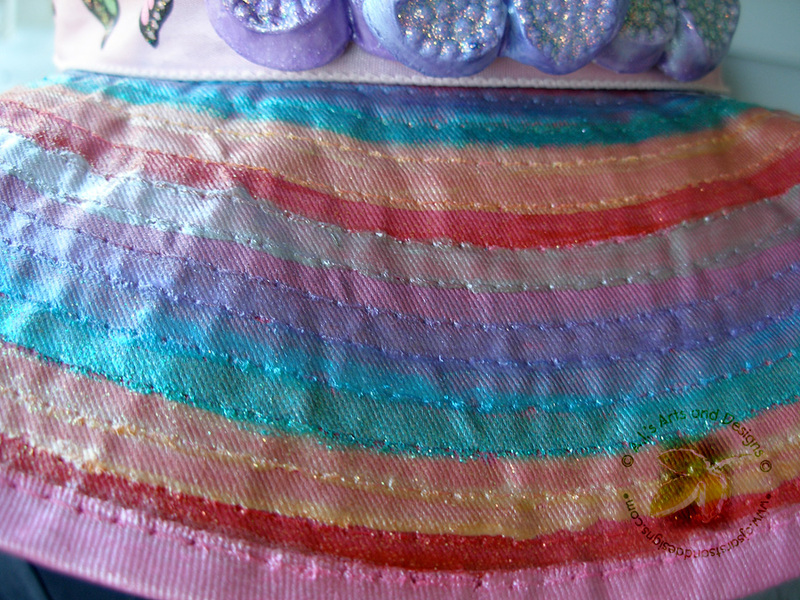 Painting the rainbow around the rim with mixers and lacquer (my helper did this part – it was her hat for school). 9. 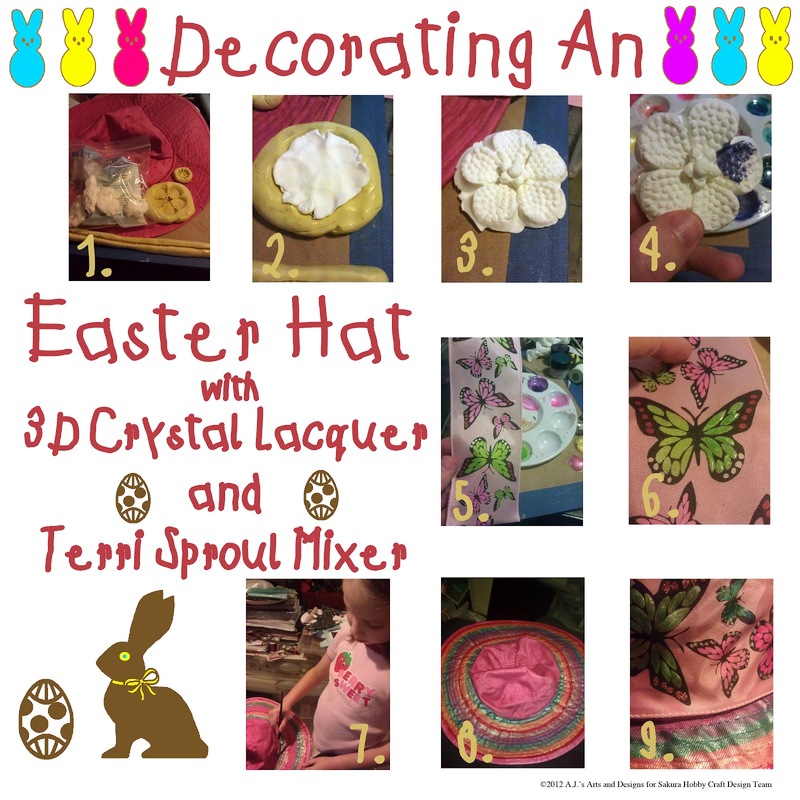 Add ribbon with hot glue and add flowers to the front of the hat.